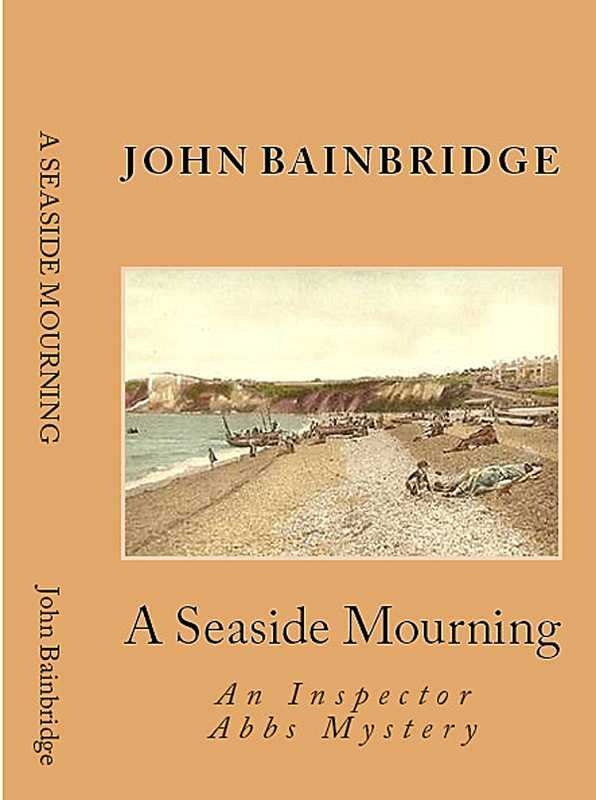 Murder at the seaside has long been a popular sub-genre of English crime fiction. Within this framework the setting and topography of Mayhem-on-sea can vary widely. The 1930s Brighton written about by Patrick Hamilton is very different from Raymond Flynn’s North Sea Eddathorpe of the 1990s or the Edwardian resort of Andrew Martin’s The Blackpool High-Flyer. Seaside resorts provide a rich source of atmosphere for the writer. A contained world that comes complete with its own architecture and language. Grand Hotels along the esplanade, seedy Sea View boarding houses, the pier and pavilion, boating lake and prom. Locations from cliff-tops, Winter Gardens, crowded arcades or empty beaches offer endless possibilities for the finding of bodies. Sending your characters to the seaside is a useful device whereby they join groups of strangers and meet with unexpected situations. Even Jane Austen wrote a mystery sub-plot within Emma – complete with clues – about what Jane Fairfax got up to in Weymouth. If you fancy reading a seaside detective novel while it’s still summer, here are a few of our favourites. Dorothy L. Sayers’ Have His Carcase is the second of her novels to feature the crime novelist Harriet Vane. Harriet is taking a solitary walking tour along the south-west coast when she finds a body that is later washed out to sea before officialdom can arrive. Under some suspicion, she stays at the nearby resort and Lord Peter Wimsey soon follows to help her discover whodunit. We can’t leave out the wonderful Death Walks At Eastrepps, published a year earlier. Eastrepps is loosely based on the charming Norfolk resort of Cromer. For more detail see blogs passim. Agatha Christie’s N Or M? features her engaging sleuths Tommy and Tuppence Beresford and sits somewhere between detective novel and spy thriller. Set in the spring of 1940 in a sleepy south coast resort. The Beresfords, now middle-aged, are staying in a boarding house and secretly searching for a German agent, a Fifth Columnist among the seemingly ordinary residents. This is a rattling good yarn which gives an interesting insight into the times. We decided not to watch the BBC drama currently running as they’ve updated the setting to the early 50s and swopped Nazis for the Cold War – destroying the whole premise of the story. Eileen Dewhurst’s Phyllida Moon series first appeared in the 1990s and has an intriguing premise. Phyllida Moon is a gifted repertory actress who moves to the quiet south-coast town of Seaminster. There she begins a new life working for a private detective agency and sleuthing in character. This may sound as though it requires a suspension of disbelief but Eileen Dewhurst writes so well that this is effortless to do. Her plots are very original and raise interesting questions about the nature of identity. She is very good on the psychology of her characters and setting. Curtain Fall by the same author features another series character, Inspector Neil Carter and is also set in a resort. If you want to know what seaside summers were like in the 70s, in the last days of regular end-of-the-pier shows – this is a superb read. Terrific atmosphere combined with a first class plot. An atmospheric Victorian murder mystery set in 1873. The small seaside resort of Seaborough, half-forgotten on the edge of Devonshire, seems an unlikely setting for murder. When a leading resident dies, the cause of death is uncertain. Inspector Abbs and Sergeant Reeve are sent from Exeter to determine whether the elderly spinster was poisoned. As mourning rituals are observed and the town prepares for an elaborate funeral, no one seems to have a motive for ending a blameless life. Under increasing pressure, Inspector Josiah Abbs must search the past for answers as he tries to catch a killer. Now out in paperback and eBook. I enjoyed these seaside novels, esp the Torquay area, and especially yours! Peter James’ DCI Roy Grace series are set in modern Brighton and give a fair feel if that area. Haven’t watched the Tommy-Tupoence redo for just the reasons you stated and dithering about if I will . . . Thanks Marni, That’s very kind. Haven’t read Peter James though I know they’re really rated. The Tommy and Tuppence has had bad reviews here. We thought the Francesca Annis/James Warwick version was very well done and great fun.